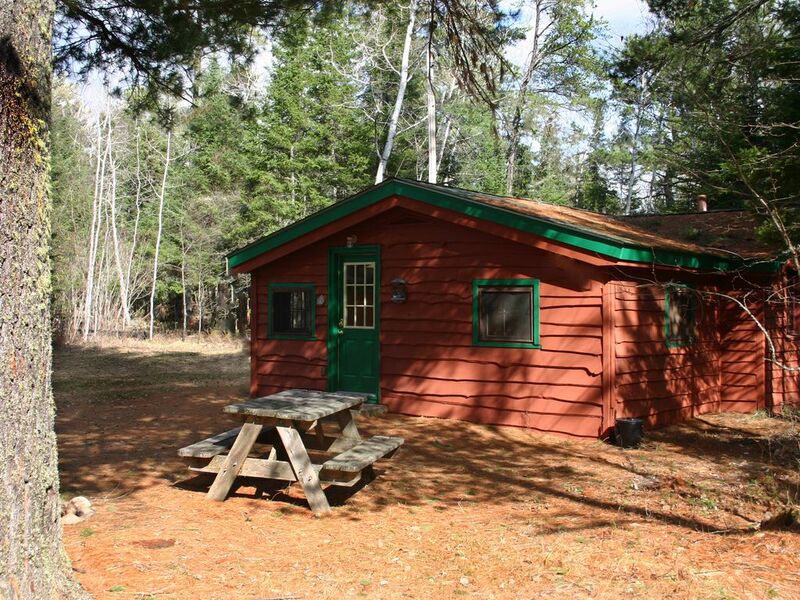 Big Pine Shorty's is a clean, cozy cabin with access to a small quiet lake in the wild heart of the Superior National Forest. It's only about 8 miles from the southern boundary of the B.W.C.A. The lakefront is just a short walk down the hill. A perfect place to commune with nature, reconnect with family and restore your spirit. If you are planning a wild party weekend, please seek different accommodations. Big red and white pines tower overhead, providing nesting habitat for eagles, osprey, owls and kestrels. This simple, clean, cozy cabin has a genuine 'northwoods' feel. We even throw in a CANOE and FIREWOOD. Silent recreation for all seasons at our simple little cottage in the woods. If you are looking for a quiet, secluded wilderness escape, you have found it. Even with a very adequate public boat launch less than a minute away, there is no such thing as 'rush hour' on pristine Lake Gegoka. Speedboats, tubing and jet skis are definitely out of character here. This sparkling clean little 150 acre lake offers fishing, canoeing, swimming and just plain gazing out at. Our complimentary canoe provides a perfect way to explore the lake. The dock down at the shoreline is available to cast your line from or could accommodate your own small fishing boat launched from the public landing just around the corner. Lake Gegoka is a shallow sandy bottomed lake and warms up early in the summer. Just a few minutes away is a little used public swimming area on Flathorn Lake (connects to Gegoka). There is a very scenic hiking trail around it and a picnic area with water pump, grills, tables and a brand new vault toilet. Lake Superior's North Shore is only about 30 minutes away and provides many opportunities for day trips, including Split Rock Lighthouse tours, the Superior Hiking Trail and some of Minnesota's most popular State Parks. It's a great place to cool down on a warm day inland and grab a bite to eat or a special souvenir. Ely is a 45 minute drive and has a variety of good restaurants and unique gift shops. This lively little town is the jumping off point for Boundary Waters Canoe Area trips and has some great attractions for rainy or sunny days. Both the International Wolf Center and the North American Bear Center are great places to learn about 2 of the area's wild residents. The Soudan Mine tour is a fascinating look back in time to 'hard rock' underground mining on the Range in the early 1900's. Location, location, location. The woods and lake are beautiful and pristine! Shower, toilet and sink. Guests provide their own towels. Sandy bottom Lake Gegoka. Use of 1 canoe. Shared use of small paddle boat and row boat. Good fishing/swimming from the dock or boat. Lake frontage is just a very short walk down the hill. 30 kilometers of groomed classic cross country ski trails in the pines. Ski out your door. Landline for emergencies and limited personal use. Mobile - Verizon is weak and AT&T is almost non-existent. Pots pans and basic kitchen necessities. Exclusive use of 1 canoe. Small paddle boat and rowboat available on first come first served basis (may need to share with 1 other cabin rented at this location). Paddles and life vests available. Fire up the sauna and cool off 50 paces away in sandy bottomed Lake Gegoka! We thoroughly enjoyed our stay. The property was beautiful and the skiing was fantastic! We loved that we could just walk out the door and hop on a trail. We will definitely be staying here again! So glad you enjoyed the surroundings and direct access to the Flathorn-Gegoka ski trails. Thanks so much for taking the time to share your thoughts. We look forward to your return. If you bike, many of the trails are great for that year round. We're even trying out grooming a 10k section for winter fat biking. We were up specifically to grouse hunt, so only used the cabin for sleeping. Excellent hunting area with plenty of public land. Didn't even go down to the lake or use the sauna. The cabin was very nice and well stocked for all we needed. Follow all instructions for what to bring with and you will have a nice stay! Other hunters were staying there also and were very friendly. Heater worked perfectly for our cold nights and an on demand hot water system. I would give it 5 out of 5 stars! This cabin was the perfect fit. Andy and Lura provided nearly all the basics you could need and I especially appreciated that there was grilling utensils because I forgot my own. I didn’t experience any issues and I would definitely make this trip again! We loved the cabin, the location and the lake. So peaceful! We hiked nearby and are looking forward to visiting again. Great getaway on a quiet lake. Went to Big Pine Shorty's cabin with my wife and toddler son for a late summer getaway for a couple nights. Hardly saw anyone else, was able to explore the quiet lake in the provided canoes, had a campfire, and saw some beautiful stars. Wish we could have stayed a couple nights longer. Already trying to figure out when we can come back. Cabin was very nice and well maintained. Lake is pretty. It was a little strange to have a road pretty much right in the back of the cabin.. we could hear the cars and some trucks going by. For those who enjoy nature and being close to it, this is the ideal getaway. In this remote corner of Superior National Forest, wildlife is abundant. Moose roam the area, and on occasion have been seen swimming in our lake. Timber wolves, pine martin, foxes, fishers and many other shy forest creatures are seen and heard. The surrounding area is very sparsely populated and offers many opportunities for exploring. The U.S. Forest Service maintains a number of hiking trails, picnic areas and public accesses to lakes large and small. Day trips to the B.W.C.A. wilderness are also an option. Ski: Direct access to 30K of groomed, single tracked classic cross country ski trails. Flathorn/Gegoka trail system. No skijoring. Also designated snowshoe trails.